The cost of purchasing new products is very high. However, in many cases, it can be either avoided, or delayed. Keeping your pallets or containers in an appropriate condition will contribute to their extended utility and increase their economy. It will also result in greater safety of your products. Thanks to our specialists, technical facilities and 30 years of experience, we will repair and maintain your products in the most professional way. We specialise in repairing EPAL wooden pallets, Gitterboxes, metal boxes and rollcages. 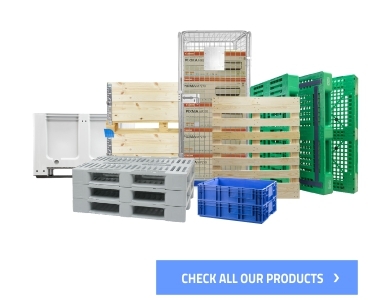 Our expertise, evidenced with EPAL certificate, enables us to repair Euro EPAL wooden pallets and Gitterbox pallet cages, guarantees that repaired products will be consistent with their original specification. Our automatic and semi-automatic repair lines guarantee you the highest quality of service. You can be sure, that after being repaired, your pallets and containers may be safely used again. Rollcontainers are very simple yet demanding products. Proper maintenance of rollcages fleet is extremely important not only in terms of their work productivity but also the operators’ safety of service. This will significantly influence the tempo and quality of work. Services that we provide most frequently are: the wheelset replacement, fitting appropriate wheels for different types of surface, or removing old labels and the lasts of wrapping film from rollcontainers. Are your pallets and containers scattered around several warehouses in different countries? It is not a problem for us, because thanks to 15 branches in 9 countries we are able to service or maintain your containers at the nearest Rotom branch. This makes the repair faster and cheaper. How to use our products repair and maintenance service? Just fill in the form below – you will receive the copy of the inquiry on your e-mail. You can also ask about the products repair and maintenance services directly from any product page. We will contact you as soon as possible, and after a joint analysis of your assortment you will be presented the most profitable offer. 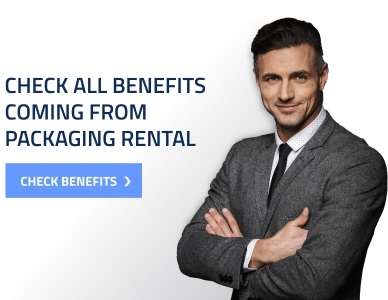 Packaging recovery – learn more! Your pallets or containers are returnable and you continuously struggle with getting them back and keeping them in a proper condition? We invite you to familiarise yourself with our packaging recovery service. We are certified to repair EPAL wooden pallets and Gitterboxes. We can repair the pallets and containers directly in your company (on the spot). We specialise in repairing and maintaining rollcages.